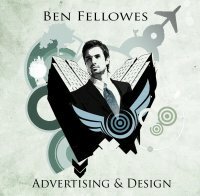 I've been working in Advertising and Marketing in England and the US for over 6 years. In this time, I have created successful ad, direct marketing, and web campaigns for companies that include Poulter Partner's (UK ad agency) and OvernightPrints.com. My diverse and varied design and marketing roles have included copywriter, content management, art director, and creative manager. As well as being an expert in digital media and traditional design, I have experience in managing designers and major through-the-line promotions.